Lent 1 Sermon: "Thrown Out"
You know what many of these works are. 21 Christians beheaded. Murder legalized and celebrated as choice. Shifting foundations of family and marriage. And then there’s our own doubt and despair, sin and death. We live in enemy-occupied territory. Christianity is the story of how the rightful king has landed (Lewis, Mere Christianity, p. 46). And the Christian church year is a continuous unfolding and retelling of God’s cosmic battle against sin, death, and the devil to set you free. Jesus’ grand invasion begins in Bethlehem; behold the infant King of Creation born to save you. In Epiphany, the Captain of our salvation reveals his battle strategy as he unrolls the scroll of Isaiah: heal the sick, cast out demons; preach the Good News; free the prisoners. The kingdom of God will overcome the devil’s kingdom. King Jesus leads the charge but in the most unexpected way, by suffering and dying for you. And that brings us to the battlefield of Lent. Mark’s Gospel reminds us that Lent is a Baptismal season. Jesus’ baptism and yours. In many ways our Baptism is similar to Jesus’ Baptism. The Father declares you his child, the Son is in the water for you, and Holy Spirit descends upon you. Jesus is Baptized to accomplish his death and resurrection. You are Baptized into Jesus’ death and resurrection. Like Jesus, Baptism makes us enemies of Satan. But our Baptism is also different. We descend into the water dead in sin, and arise to new life in Christ. Jesus, who is sinless, descends into the water to receive a sinner’s baptism in order to take our sin to the cross. Jesus fulfills all righteousness by taking on our unrighteousness. Lent is also a season of temptation and testing. James is right. God tempts no one. Though he does test us, as he did Israel in the wilderness, or Abraham with Isaac. He tests us as a father disciplines his son. Testing reveals faith. Temptation, however, seeks to destroy faith. That’s the difference. God tests those whom he loves. Satan tempts because he wants to devour you, it’s a mutually assured spiritual destruction. But in the wilderness Jesus stands firm where Adam and Eve and Israel and us had fallen prey. Jesus’ wilderness skirmish with Satan leads to the open war on the cross, and the victory of Jesus’ Kingdom over Satan’s. That makes Lent a Gospel-preaching season as well. Jesus’ defeat of Satan is Good News for you. 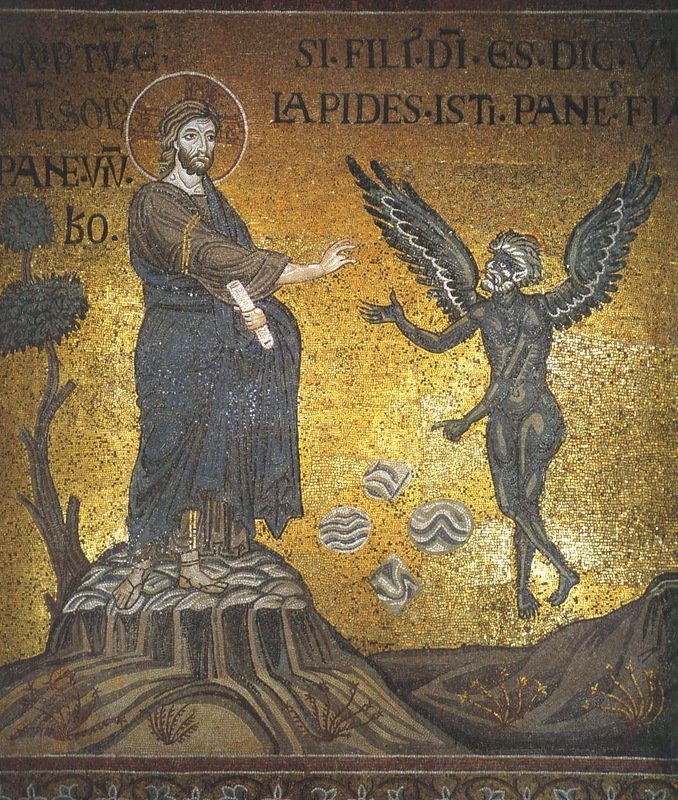 And though Satan is able to bruise Jesus’ heel, Jesus crushes the serpent’s head. It is finished for you. Jesus is the Lamb of God promised to Abraham, and Isaac, and you. God provides himself as the sacrifice for our sin. God offers up his Son, his only Son, whom he loves, to die in your place. Jesus is the perfect and good gift who comes down from heaven to take your place in the hell of the cross. Behold your King. Robed in our sin. Crowned with thorns. Pierced for our transgressions. Enthroned on the cross. The kingdom of God comes in Jesus’ suffering, bleeding, dying, and rising for you. Baptism. Temptation. Preaching. This is how Jesus accomplishes his victory over Satan, death, sin, and hell. Jesus came to destroy the works of the devil: In His Baptism and yours. In His temptation for you. In the preaching of the Gospel, delivered to you. And immediately after his Baptism, the Spirit throws him out into the wilderness. The wilderness is the place of nothingness. Desolation. Death. It is Satan’s domain. Jesus is the divine Burglar who breaks into Satan’s domain and binds the strong man. Jesus, plunders Satan’s kingdom of darkness, robs him and hell of his power and hold over you. And Jesus takes back his rightful treasure…you and all creation. Jesus was thrown out into the wilderness in order to throw the devil out in defeat. Jesus was tempted in the wilderness in order to endure our temptation and aid us in our affliction. For we will be tempted. And I think Lewis’s words in the Screwtape Letters are insightful: It is funny how mortals always picture demons as putting things into their minds: in reality their best work is done by keeping things out. We’re tempted to forsake Christ for something or someone else to calm our troubled consciences. Tempted to satisfy our hunger and appetites with our desires. Tempted to test the Word of God. First comes doubt: “Did God really say?” Then comes desire. Then, when desire has conceived, it gives birth to sin; and sin, when it is full-grown, brings forth death (James 1). This is why the Spirit throws Jesus into the wilderness after His Baptism. Not for Jesus’ faith but for ours. Not for Jesus’ sake but for ours. Satan will huff and puff against Jesus, but his house, the Church, will never be blown down. So when you are overcome by temptation, fear not. Jesus has overcome Satan and temptation for you. Christ Jesus is your Mighty Fortress in the hellish war against sin. Jesus’ Word is your trusty sword of the Spirit. 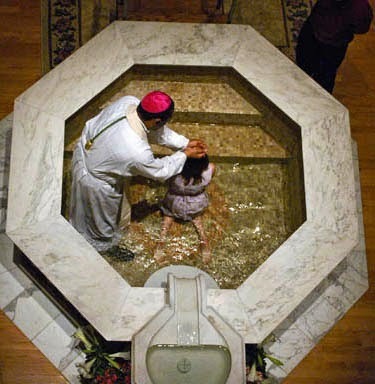 Your Baptism is your shield which douses the devil’s fiery arrows. Jesus’ body and blood are your armor, forgiving your sin and strengthening your faith. Take, eat, the body of Christ; take, drink, the blood of Christ – this is our feast of victory. The fruit of Jesus’ passion sustains you in the wilderness. So, fight the good fight. Receive his gifts weekly. And take comfort in Jesus’ temptation for you. It’s true, we’re no match for the devil. But Satan is no match for Jesus crucified and risen. Jesus’ journey to the cross, like Israel’s to the Promised Land, must go through the wilderness. Jesus does what Israel did, only perfectly. He obeys the Father. He is faithful. He withstands temptation. For Israel. For you. Jesus defeats Satan in the wilderness just as he will defeat him on the cross. Jesus receives the baptism of fire and blood in his crucifixion. Jesus overcomes the temptation to get down from the cross; he stayed there for you. Jesus proclaims Good News to you from the cross. It is finished. Satan is defeated. Death is undone. Sin is paid. Jesus wins the victory and gives you spoils of war. Everything Jesus does in the wilderness, and on the cross, is given to you in Baptism. All of your accusations, your sin your death - thrown out on the cross because Jesus was thrown out into the wilderness for you. And in your Baptism Jesus throws the devil out. “Depart you unclean spirit and make room for the Holy Spirit.” This world’s prince may still, scowl fierce as he will. He can harm us none; he’s judged the deed is done. One little word can fell him. Jesus received the ministry of angels. We too receive messengers, though they don’t have wings and halos; usually they work in black and sometimes very, very dark gray. Pastors are messengers, fellow sinners called to minister to you with the Baptism Jesus gives us, to deliver the Gospel of sins pardoned freely in Jesus, to feed you with Jesus’ holy blood and blood, the fruit of the cross which forgive your sin. The snakes, scorpions, wolves, and jackals pose no threat. Jesus was with the wild animals. The Creator comes to reclaim, restore creation. Christ, our second Adam has undone what the first Adam ruined. Jesus, the Lion of the tribe of Judah squashes the Serpent who prowls like a lion. Satan, the wilderness, our sin and death, the world and all its temptation are no match for Jesus crucified and risen for you. In this wilderness life, behind enemy lines, we’ll undergo various trials, our faith will be tested. Like Israel, Satan will tempt you to think Christ has abandoned you. Your sinful flesh will cry out in despair: “you’ll never reach the Promised Land; life was better under slavery.” But those are lies. You’re not alone. Jesus Christ, the Lord of hosts, is with us; the God of Jacob is our Fortress. And he will lead us through this wilderness, during the 40 days of Lent, and always. Ash Wednesday Sermon: "The Cross and the Commandments"
Today, and throughout the 40 days of Lent, we hear and confess the severity of our sin. We hear and confess and behold the cost of our sin. The ashen cross upon our foreheads is a reminder of the just penalty of our sin. We crucified Jesus. The wages of our sin is death. It was our sin that put God’s only begotten Son to death on the cross. Even the name - Ash Wednesday - declares what this day, this season of Lent is all about. Repentance. On Ash Wednesday, the curse of the garden stings our ears with that solemn and sobering sentence. Yes, the cross of Ash Wednesday is a reminder of your sin, but also of your Savior. Jesus' cross is greater than your sin. Today we hear and confess that Jesus’ forgiveness is greater than the severity of our trespasses. Today we hear and confess and behold the costly grace won for us by Jesus death on the cross. Jesus paid the penalty for our sin, in full. It is finished. Jesus became our sin to rescue, redeem, as restore us. The tree of Jesus’ cross overcomes the tree of Adam’s temptation. This is why on Ash Wednesday and every Sunday, we confess our sins, that we would hear all the more clearly the joyous promise. Behold the Lamb of God who takes away the sin of the world, who takes away your sin. This is also why we’ll spend the Lenten midweek services hearing the proclamation of the cross in the Scriptures and Small Catechism. Tonight the cross in the 10 commandments. 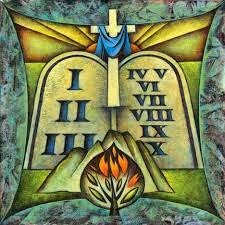 When we turn to the 10 commandments in the Catechism we hear these words: As the head of the household should teach his family. So fathers and husbands, this is for you. This is your calling in your household. Teach your children. Lead devotions. Read the Scriptures and Catechism with your family. Pray, praise, and give thanks. And if you need help or don’t know where to start, I’m here to teach you how. “Hear, O Israel: The Lord our God, the Lord is one! You shall love the Lord your God with all your heart, with all your soul, and with all your strength. “And these words which I command you today shall be in your heart. You shall teach them diligently to your children, and shall talk of them when you sit in your house, when you walk by the way, when you lie down, and when you rise up. Luther’s Small Catechism begins with the 10 commandments for the same reason we confess our sins weekly in service. Daily we die to sin. Daily we rise to new life in Christ. The 10 commandments show us the severity or our sin, and our need for a Savior. The Christian questions and answers in the Small Catechism show us the same thing as we prepare for communion. God’s Law isn’t the problem, we are. “…fallen man is not simply an imperfect creature who needs improvement: he is a rebel who must lay down his arms. Laying down your arms, surrendering, saying you have been on the wrong track and getting ready to start life over again from the ground floor – this is what repentance is. It means killing a part of yourself, undergoing a kind of death…” (C.S. Lewis, Mere Christianity, p. 56-57). Repent. For we have not feared, loved, and trust in God above all things. We have not hallowed his name or called upon it in every trouble for prayer, praise, and thanksgiving. We have not kept his Sabbath day holy by finding rest solely in his Word. We have not honored our father and mother, or others in authority over us. We have failed to help and support our neighbor in every physical need. We have not led a sexually pure life in all we say and do. Husbands and wives have not loved and honored each other. We have failed to protect our neighbor’s possessions and income. We’ve borne false witness against our neighbors, coveted, and desired their husband, wife, or other possessions. What does it take keep these commands? Love. Love fulfills the Law. And all of the commandments we’ve broken hang on Jesus. Jesus takes the two tables of the Law that hang around our neck like millstones, and places them onto his shoulders, and he is crushed for our iniquities. It is love that fulfills the Law. But not our love. God’s love for you in Christ. By his wounds you are healed. For the same God who gave the 10 commandments also sent his Son to be born of a woman, to be born under the Law to redeem us who are under the Law. Jesus feared, loved and trusted in the Father above all things…for you. Jesus bore the Name of God and called upon his Father’s name unceasingly…for you. Jesus honored father and mother…for you. Jesus yearned for your salvation and so led a pure end decent life…for you. Jesus forsook all earthly possessions in order to buy you back from sin and death. Jesus testifies to the Father on your behalf with his holy, precious blood and his innocent suffering and death as the evidence that you are blameless and holy in Him. Jesus only desire is to do the Father’s will and to redeem you and bring you into his kingdom. All of our commandment breaking hangs on Jesus. Jesus’ love fulfills the Law for you. Jesus loves you, his neighbor, by laying down his life for you. Jesus loves the Father by being obedient unto death, even death on the cross for you. Today the ashes point to our repentance. But also to Jesus’ sacrifice for us; the cross proclaims your redemption in Christ. And the cross is a fruit bearing tree. Jesus’ perfect life exchanged for your sin. Jesus’ death exchanged for your life. Jesus’ holy flesh to heal our sinful flesh. Jesus’ righteousness which covers our transgressions. Jesus’ cross which marks our foreheads and hearts. You are marked with the sign of Jesus’ redemption. Ashes, sin, and even death cannot scrub out or dry up the waters of your baptism. You are marked as one redeemed by Christ the crucified. Sermon for The Transfigruation of Our Lord: "From Glory to Glory"
Maybe your teachers were like mine and pounded that lesson into your head week after week in English class. St. Mark’s account of Jesus’ Transfiguration is similar. Of course, Mark isn’t writing an essay or an op-ed piece, but the Gospel of Jesus Christ the Son of God. It’s God’s living, active, life-giving Word. And it’s history and narrative. So Mark does what all good writers do. 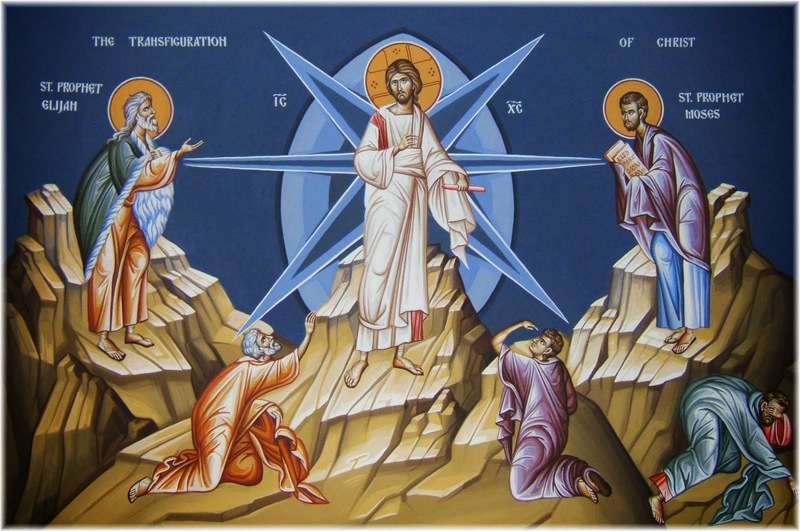 Jesus’ Transfiguration begins with a clear introduction and ends with a strong conclusion, from beginning to end the main point is: The glory of Jesus’ Transfiguration points to his glorious death and resurrection for us. Jesus’ words about his dying and rising bookend his transfiguration. And…as they came down from the mountain, Jesus commanded them that they should tell no one the things they had seen, till the Son of Man had risen from the dead. The glory of Jesus’ transfiguration points to his glorious crucifixion and resurrection for us. Mark makes this all the more clear for us by placing Jesus’ Transfiguration smack dab in the middle Jesus’ three death and resurrection predictions in Mark 8, 9, and 10. The Son of Man must suffer many things and be rejected…and be killed, and after three days rise again. This is no coincidence. Jesus wants to show us that his transfiguration is inseparable from his death and resurrection. This is why Jesus instructed Peter, James and John to be silent, to not post their Transfiguration pictures on Facebook or send out some Tweets and Snapchats about their totally awesome mountain getaway with Moses and Elijah. They wouldn’t understand until after Jesus’ crucifixion and resurrection. Today we stand on the mountain with Peter, James, and John, overlooking the valley of Lent with the cross and the empty tomb on the horizon. Jesus’ transfiguration in radiant white gives us a glimpse of what the angel, also clad in brilliant white robes, will announce in 7 weeks. Do not be alarmed. You seek Jesus of Nazareth, the Crucified One. He is not here. He is risen. Even at Jesus Transfiguration and resurrection, Jesus is always the Crucified One for you. This is why we display crosses in our homes, churches, or artwork, whether it’s an empty cross or a crucifix, the message is always the same: Jesus is crucified for you. For the glory of Jesus’ transfiguration points to his glorious crucifixion and resurrection for us. James, Peter, and John needed Jesus’ transfiguration for all that would take place on the way to Jerusalem, and during Holy Week. Knowing the end of the story sustains us through our Lenten journey. 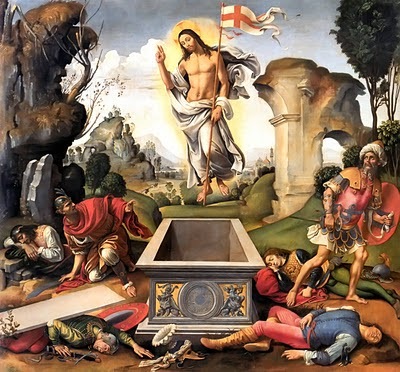 As we plunge into the season of Lent we do so with a glimpse of Jesus’ resurrection. As we go down the mountain into the valley for 40 days we bid the Alleluias farewell for a season, knowing they’ll return on Easter. And this is true throughout life as well. In the crosses we bear in this veil of tears, as we face illness, suffer and wrestle with our sin and temptation, even in our darkest days, the glory of Christ’s transfiguration, and the greater glory of his death and resurrection sustains us. Though Jesus dies in utter darkness, Christ crucified is our greatest light in our night of sin. We know the end of the story: Jesus is transfigured. Crucified. Risen. For you. Epiphany leads to Lent. From the mount of transfiguration to the mount of crucifixion. In Jesus’ suffering for us we see God’s glory. Jesus’ transfiguration tells us how we should see Jesus. This is the subject of Jesus’ Transfiguration summit as Elijah appeared to them with Moses, and they were talking with Jesus. Heaven and earth are joined at Jesus’ transfiguration, confessing the glory that is to come in Jesus’ death and resurrection. The witness of Moses, Mr. Torah, and the witness of Elijah, Mr. Prophet is that the Christ - the Messiah - must suffer, die, and rise for you. The entire Old Testament is witness to Jesus’ glorious crucifixion and resurrection for us. This is My beloved Son; Listen to Him. The Father’s words point us to Jesus’ Word. That’s where Peter found comfort and hope…in Jesus’ Word, especially after the resurrection. Jesus’ Word gives us hope, comfort, life, and salvation whether you’re feeling like you’ve had a glorious mountain top experience, or whether you’re in the valley of darkness. Jesus knew Peter was afraid. Jesus knows our fears too. Fear is always our sin against God’s promises in the first commandment. So when our relationships are strained, finances are tight, futures are uncertain…we panic, turn inward on ourselves and lean on our own understanding rather than fear, love and trust in God above all things. It’s no different in the church. When giving goes down, when plans don’t go our way, when our friends constantly reject our invitations to church, we panic, turn inward, and lean on any other spiritual means of hope and comfort rather than fear, love, and trust in Christ’s word, water, body and blood to do what he promises they’ll do. But Peter had no reason to fear. And neither do you. Although Jesus’ glory was hidden. The cloud was gone. Moses and Elijah gone. The splendor, the mountain-top moment…the divine revelation all of - gone. But Jesus was not gone. Suddenly looking around they no longer saw anyone…but Jesus only. Faith receives the simple washing of water and Word in Baptism and says, God declares that I too am his beloved child. Faith receives the holy supper and rejoices that the Jesus’ glory revealed in his transfiguration, death, and resurrection for us, is hidden in bread and wine. Once again heaven comes to earth. You don’t need to go to the mountain to find God’s glory. Jesus brings the glory of his transfiguration, crucifixion, and resurrection to you personally in the waters of your Baptism, in Jesus’ body and blood in the Supper, in the spoken Word of forgiveness. The Scriptures, the Font, the Altar – here’s your mountain. Here’s where Jesus meets you and forgives you. It is good, Lord, to be here. 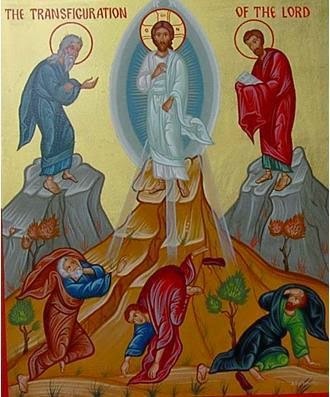 And it is good to leave the mountain of transfiguration and journey to Mt. Calvary. For we are not given to stay on the mountain of transfiguration, but we are given to stay – and must stay – at the cross. For…The glory of Jesus’ transfiguration points to his glorious crucifixion and resurrection for us. Epiphany 5 Sermon: "Jesus' Healing Word"
If you could have any super-hero power, what would it be? To fly like Superman? Swing your hammer like Mighty Thor? Or read minds like Professor X? If the weekly prayer request cards for the Prayer of the Church are any indication, I think many of us would want the ability to heal. Not like those goat-herders on TV who only want 15 minutes of fame and what’s in your wallet. 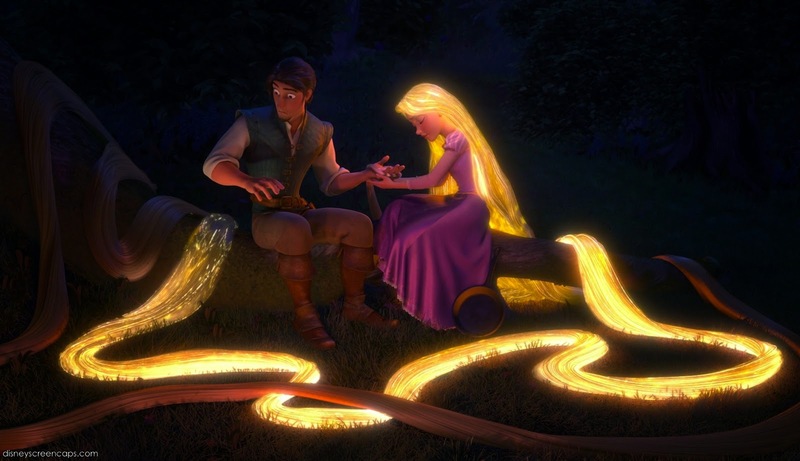 No, something more like Wolverine’s self-healing; Lucy’s healing cordial from Father Christmas in Lion, Witch, and the Wardrobe; or Rapunzel’s magical hair in Tangled. After all, we see the world we live in, broken and in need of healing. We see family and friends suffer hurt, loss, pain, and death. It’s not right. Come quickly, Lord Jesus, we pray. Maybe we imagine that we could help or heal others if we had some kind of super power. Of course, that too is a day-dream. All we’d really do is find a way to ruin that gift too. Just look at what we’ve done with God’s creation under the power of sin…the sin in a creation which is cursed, and our sinful flesh that is the walking dead within us. “Let us go on to the neighboring towns, that I may preach there also, for that is why I came out.” And he went throughout all Galilee, preaching in their synagogues and casting out demons. 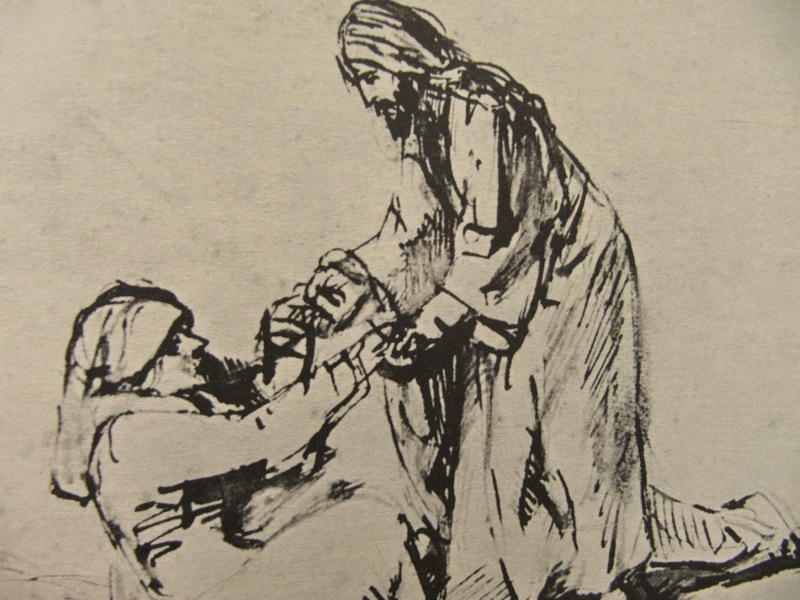 Like Peter’s mother-in-law in today’s reading, we need Jesus’ healing Word. And Jesus comes for us, just as he did to her, and the crowds in Capernaum – by his Word. 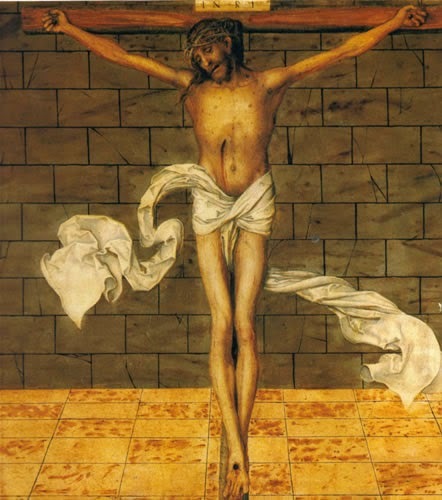 Everything Jesus says and does, the teaching and the miracles, it all points to one place: Jesus’ crucifixion for you. Your healing is found in Jesus’ death and resurrection for you. If we miss the cross in the miracles, we miss the whole point of Jesus’ miracles in the first place. Think back to last week’s Gospel reading. Jesus casts out the unclean spirit and heals the man. Jesus’ miracles point to the cross. And it’s on the cross –not in Galilee – that Jesus cast out the devil and all demons. Jesus’ death for you fulfills the promise of Genesis 3:15; Jesus crushed the serpent’s head for you, defeats the devil and wins victory for you. The miracle points us to Jesus’ healing word in his death and resurrection for you. It’s the same in today’s reading. Simon’s mother-in-law lay ill with a fever, and immediately they told him about her. Where we might think a fever a rather trivial thing, at least compared to a confrontation with an unclean spirit, Jesus doesn’t hesitate. No doctor clichés will do. Jesus doesn’t prescribe Peter’s mother-in-law to take some Advil, drink plenty of water, and call him in the morning. No. Jesus went to her in her moment of need. He came and took her by the hand. Jesus’ actions remind us that visiting the sick is such an important part of our Christian life – showing care and mercy to all. And because it was particularly important to Jesus’ ministry, it’s also a vital part of what God calls pastors to do. So, don’t hesitate to call me in a time of need. That’s precisely why I’m here, to bring Christ’s healing word to you in your time of illness or need – great or small. Jesus knows and provides for our spiritual needs, as well as our physical ones. He cares for the whole creature that he made us to be – body and soul. Jesus also died to redeem our whole being – body and soul. In the resurrection you will be raised to new life – body and soul. And so, we care for others in a similar manner: in body and soul. The food of God’s Word and food for their stomachs. Clothed in Christ in Baptism and clothes for their body. Jesus’ healing Word spoken to those in need, and God’s mercy given in a caring embrace, a compassionate hand on the shoulder, or a listening ear. After all, sickness is never just a physical thing. Sickness can also be a time of spiritual insight and wrestling; when we’re sick we’re vulnerable and dependent. We’re reminded of our mortality, even if it’s just the sniffles or a 24 hour bug. “This cold is killing me”, we say. All sickness is a “little death”, screaming out, “remember that you are dust and to dust you shall return.” And yet, our sicknesses also point us to that great and glorious day of resurrection, when our broken bodies will rise to new life in the resurrection. When Jesus will change our lowly bodies into bodies suited for eternal life. Our restoration to health is a preview of that new creation, each recovery a “little resurrection”. Jesus came and took her by the hand and lifted her up. We need Jesus’ word of healing from the cross and the empty tomb. After all, even though she was healed, Peter’s mother-in-law would die someday. And though we may recover from our colds and diseases, someday we’ll die too. This, of course, reveals a deeper truth in Jesus’ healing miracles. Sin and sickness go together. Now don’t misunderstand this. It’s not as if you commit a certain sin and then God strikes you with the measles. Peter’s mother-in-law wasn’t sick because of some particular sin in her life. And it’s not the case that if we just had enough faith, well, we could overcome our sicknesses. Never mind that rubbish. Rather, sin and sickness go together in this way. They are alien, foreign to our bodies. Disease and death is not what God intended for his creation and his creatures. In this life, our colds, sniffles, and diseases remind us that there is something wrong in our bodies, in the world, in the cosmic order of things. And that’s what Jesus came to set right. In the Scriptures, sickness is a picture of Sin. Sin is a spiritual sickness, a systemic virus, which has invaded our humanity. And no matter how hard we try, we can’t shake it. Sin is a disorder of God’s order that has corrupted everything. The Great Physician gives us the diagnoses. We are our own affliction. We are our own disease. There ain’t no drug that can make us well. Sin is fatal. And the only cure is Jesus’ healing Word. The cure is Jesus’ death and resurrection for you. The cure is in your death and resurrection in Jesus through Baptism. Jesus miracles were important because they pointed to the most important thing he came to do. To proclaim good news to Peter’s mother-in-law, to the crowds gathered at her doorstep and throughout Galilee…and to you today. The healing and casting out of demons showed that Jesus’ word carries God’s authority. The miracles were not an end in themselves, but signs, directing us to Jesus’ healing Word. The same Jesus who demonstrated his power over sickness and Satan also died to overcome death, his death and yours. The same Jesus who healed many, also brings you healing word of authority: go your way, your sins are forgiven. The same Jesus who went throughout Galilee preaching the Gospel also went to Jerusalem, to perform the Gospel and give his life for you. The God who does not grow weary or faint received help from Simon of Cyrene as he carried the weight of our sin and death on his shoulders. The Great Physician of body and soul is afflicted with the sickness of sin in order to save you. The Doctor becomes the disease in order to cure you of your deadly disease. Jesus continues to heal and forgive you in holy absolution. Jesus’ Word in Baptism cleanses you from all iniquity. Jesus gives you the greatest antidote of all time, his holy body and blood given and shed for you for the forgiveness of your sins. Take, eat; take, drink…your medicine of immortality. 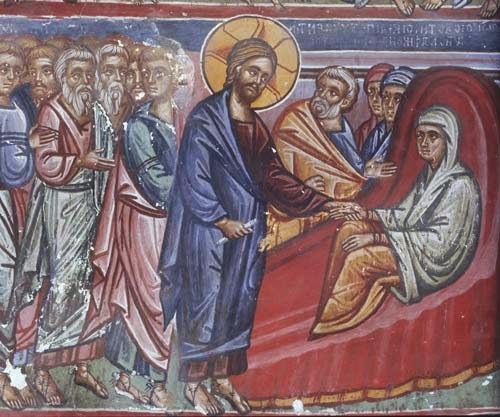 The healing of Peter’s mother-in-law is also a reminder to us that you will be healed. And every prayer for healing – in body and soul – finds its yes and Amen in Jesus’ healing word. Though we may not be healed from a particular illness in this life…and certainly not from dying…you will be healed, lifted up, raised from the dead. And the fever left her, and she began to serve them. She was healed. She offered her sacrifice of thanksgiving through service. It’s the same for us. Jesus heals us by his Word. Jesus restores us to life. Jesus forgives our sin-sick hearts and prepares us to serve. To speak Jesus’ healing Word to others: Jesus crucified for you. Jesus risen for you. Jesus in his healing word for you. Jesus in baptism for you. Jesus in the Supper for you. You don’t need any super-hero powers. The cure you need is right here for you in Jesus’ healing word. There are several reasons why I nerd out when it comes to AMC’s The Walking Dead. I’ve enjoyed reading the graphic novels and following the story threads woven between the books and television version. I’ve equally enjoyed the television series with its plot twists, character additions and development, and after show Talking Dead. I’ve also appreciated the ethical and philosophical struggles that arise during the course of the books and the show, both externally as a reader and viewer, and internally with the characters as they live in the post-apocalyptic world of The Walking Dead. But most of all I enjoy The Walking Dead because it is a well-told story riddled with religion (even specifically Christian at times), sometimes explicitly so, and yet, at other times a bit more underground. But it’s always present and always insightful whenever it happens in the story. Take for instance the minor fact that the church bus the group used in the first season, surprisingly came from a Lutheran church. That it wasn’t a Southern Baptist passenger van is itself a small miracle. More significantly, however, Hershel Greene quickly comes to mind. He is frequently seen reading and heard quoting Scripture, often with profound things to say both for the viewer and to his fellow characters within the story. Scripture was also prominently featured on a hymn board of the wall in a small country church in the most recent season. On that hymn board were the citations for a number of key bible verses dealing with death and resurrection; but that's another post for another day. There’s also the wedding of Glenn and Maggie which takes place in the prison. As they’re surrounded by death, at least in the books, 1 Corinthians 13 is read. What a remarkable contrast between life and death, depicting the loving sacrifice that marriage is, even in a world gone mad. After all, the real reason 1 Corinthians 13 is called the “love chapter” is because Paul recounts for us the character and nature of God’s love for us in Christ, of which marriage is a mysterious reflection (Ephesians 5). Indeed, Christ’s love in the cross and resurrection never fails, even when steeples, our own lives, or the world around us is falling, crumbling, and sinking into the sea…or walking dead. That single sentence stuck in my brain all evening, indeed for a couple weeks now. Sundays are for The Walking Dead. Now, what they meant for a clever promo, I take as a profound truth. Sundays are for the walking dead. That’s what we declare every Sunday in confession: I a poor miserable sinner. I am the walking dead. I am dead in trespasses and sins. This reveals an outstanding parallel to Paul’s words within the The Walking Dead universe. In the course of the show the group finds out at the CDC, and in the book they declare in agony, the tragic reality to the question they all wrestle with: Who are the walking dead? It’s not the walkers, the biters, or the rotters – as they’re called. 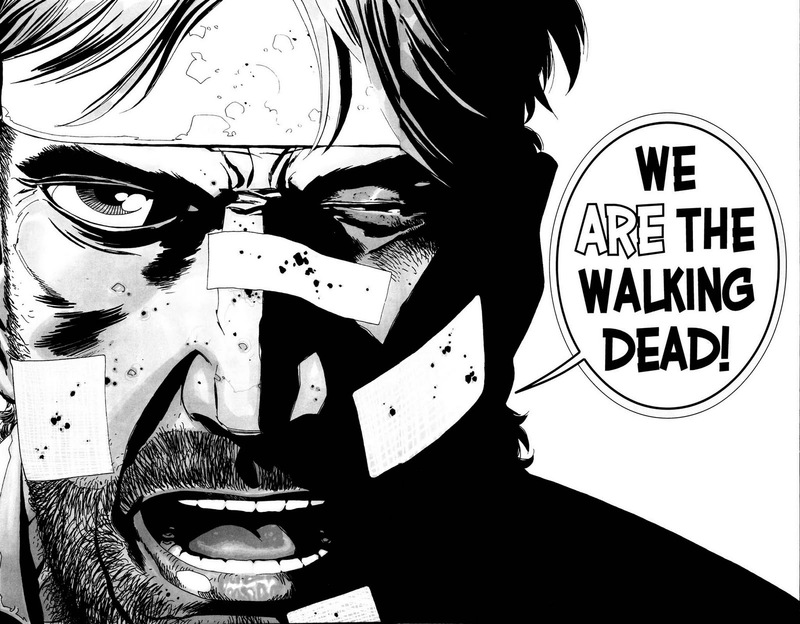 But finally, and fatally…“We are the walking dead.” Seems to me that’s a pretty accurate analysis and conclusion of our sinful condition in this life. 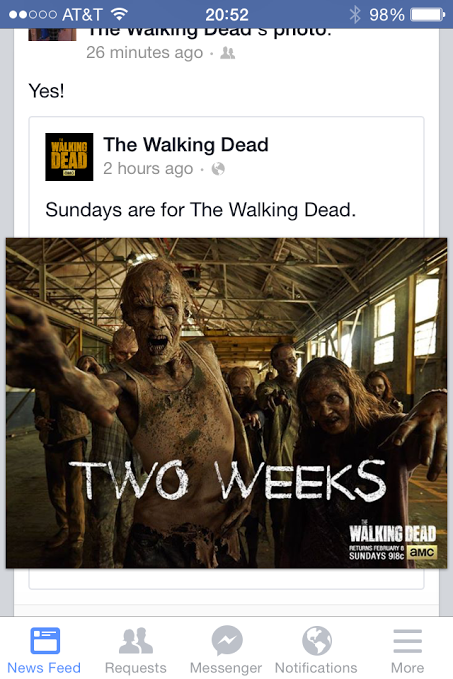 The writers for The Walking Dead echo Paul’s words in Ephesians 2 about walking in death. The problem isn’t the world. Rather, to quote G.K. Chesterton: “You ask what’s wrong with the world? I am.” I am the walking dead. 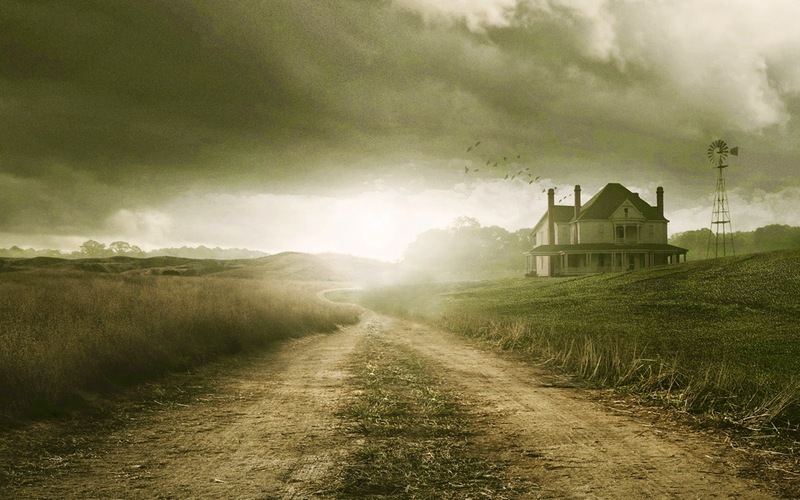 Although The Walking Dead is good at diagnosing the problem, as is the case with most post-apocalyptic stories; it is not so good at offering a cure, much like the disease the characters each carry. It appears to be incurable. But do not fear. There is another story – a true one – which depicts not only the proper diagnosis of our death in sin, but our resurrection in Christ who is the Great Physician of body and soul. His death and resurrection are the only cure for our sin-sick condition. It is the story you should hear any given Sunday – and if you’re not, you should demand that you do. It’s true; we were (note the past tense!) dead in our trespasses and sins. Yes, we were the walking dead. Yes, the devil attacks us like a herd of biters surrounding a car full of fresh, terrified humans, seeking to devour us. You see, the advertisement is right. Sundays really are for the walking dead. Jesus rose from the dead for you on a Sunday. Jesus walked out of his grave on a Sunday, leaving all your sins behind him having paid for them in full by his death on the cross. Jesus appeared to his disciples who were scared to death on a Sunday, and he appeared again the following Sunday for Thomas and us who have doubts with him. Jesus showed that he is the victor over death on a Sunday. And for us, Jesus has hallowed all Sundays to be a day of rest. Sundays are where the walking dead are raised to life by the fruits of Jesus’ life-giving, death-defying, new-creation-bringing death and resurrection. Sundays are days when we rejoice in our Baptism which buries us into Christ’s death and raises us to new life in his resurrection. Sundays are days when we rejoice in Jesus’ words: I am the resurrection and the life. He who believes in Me, though he may die, he shall live. And whoever lives and believes in Me shall never die. Sundays are days when we go to church, not because it’s a gymnasium for our spiritual exercise routine, and not because it’s a rehab center for habitual sinners, or even because it’s a hospital for the sick. The church is a hospice care, where the dying care for the dying and where we, the walking dead, receive life in Jesus’ name and according to his promise in water, word, body and blood. Whoever eats My flesh and drinks My blood has eternal life, and I will raise him up at the last day. For My flesh is food indeed, and My blood is drink indeed. He who eats My flesh and drinks My blood abides in Me, and I in him. Yes. Sundays are for the walking dead.